RANDO MONTANA: Montana Randos-100% attendance! June 15, 2013 may go down in history as one of the nicest weather days I've ever had on a bike ride. That bike ride, the Tobacco Roots Mountains 300K Brevet, took me 16 hours and 15 minutes to complete, but with no chance for rain, light winds that were tailwinds much of the time, and pleasant temps, it was a joy to be outside all day. 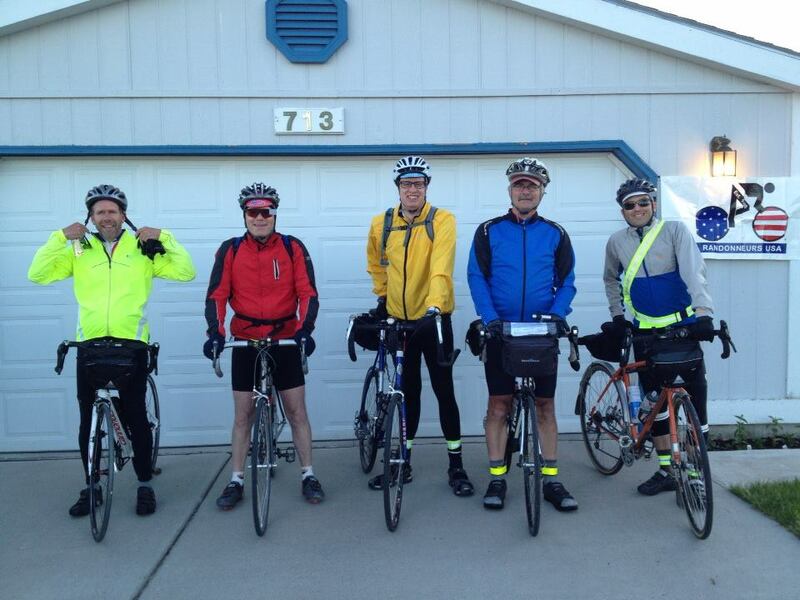 Another cool fact about this ride: There are currently 5 active Randonneurs USA members in the State of Montana, and we had all five on this ride. This is especially terrific because all the guys came from very different places in the State. We had Mike Biggle from Great Falls, Joshua Loveland from Helena, Karel Stroethoff from Missoula, Ken Billingsley from Molt, and myself from Belgrade. That's a lot of miles traveled to ride in our little 'ol brevet series. We had a pleasant ride along the Madison River on brand new, yet to be chip sealed pave, before we hit our first control in Norris. After a quick stop we were about to assault the first big climb of the day, the Norris Hill. But before we could get there Mike got a flat-our only mechanical issue of the day. Mike was well equipped to get it changed so we continued up the climb, which got us all warmed up. We were all back together at the next control in Ennis where we refueled for the beyond category (for me anyway) climb over the Virginia City Hill. Mike cruised up the hill easily and was soon out of site. Joshua and Karel spun a nice steady pace and were well ahead of me. Ken, who took the early part of the climb easy, caught me about half way up and gave me a nice push before he rode past. How he can do that and not wipe out I'll never know, but it was pretty fun while it lasted. Karel stopped at a scenic turnout to take some pictures and Joshua stopped on the false summit 1 mile from the top to help a guy in a pickup with a flat tire-calling a bunch of phone numbers trying to find somebody to rescue the poor guy. Everybody climbed well, although I need to lose about 10 more pounds of winter flab-that really slowed me down. We caught up to Mike briefly in Sheridan as he was having lunch in a small café. The rest of us settled for the grocery store and a shady spot on the bank lawn across the street. Mike was underway again just as we were chowing down. 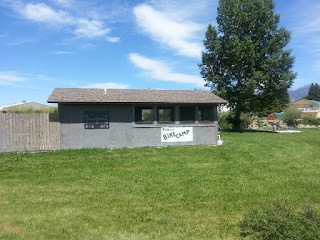 In Twin Bridges, Ken, Karel, and I stopped to check out the town's bike camp. The town of Twin Bridges set up a small building and camping area for touring cyclists. It has a sink, toilets, and a shower, along with maps, tools, and other essential items for the cross-country tourist. Cyclists can stay free of charge (though a donation is encouraged). In exchange, it's hoped the cyclists will drop a few dollars in the town. It's a neat idea. I hope they can keep it going. Reading the guest book, it is obviously much appreciated by those who have passed through. On the ride from Sheridan to Twin Bridges, Joshua had fallen behind. After Karel, Ken, and I left the Bike Camp, which was a block or so off route, Joshua was no where to be seen. Looking way up the road coming out of Twin Bridges, which is straight and flat, we still couldn't see him. I was a afraid he wasn't feeling well, so I bid Karel and Ken to press on and I would wait at a roadside historic marker for Joshua to come along. After waiting about a half-hour or so I started to soft pedal back towards Twin Bridges thinking maybe he had a mechanical problem or something. Suddenly my cell phone rang, which was a surprise as the screen said I had no service. I heard Joshua's voice on the other end for just a second before it cut off. So I kept soft pedaling. Then somehow Joshua got a text message through saying he was up the road and Ken and Karel had just caught him. I was relieved to hear he was okay and turned around to enjoy a sudden tailwind that blew me to Silver Star without hardly pedaling. I arrived in Whitehall needing a rest, and found Joshua graciously waiting for me at the store. After a quick break we pedaled easy into a pleasant evening. Meeting up with my dutiful volunteer Brenda who gave us a coke and a smile! Joshua and I took it easy coming home. He had a motel room in Belgrade for the night so we were under no pressure to finish quickly. It was a pleasant cruise despite my ever aching backside. Many, many thanks to my fellow Montana Randonnuers for all coming out and making for such an enjoyable, and even historic day. And as always, many thanks to my wife Brenda, and son Jackson for supporting us so well and having a meal prepared for us at the finish. Our 109K 4th of July populaire is just around the corner and then it's on to our 400K on July 20. If those days are half as nice I'll be happy. Ride results and a link to more photos are HERE. 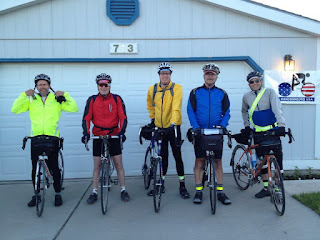 I have been the Regional Brevet Administrator (RBA) for Bozeman, Montana since 2010 so along with my permanents I also host a variety of brevets and populaires. Unlike a brevet, a permanent can be ridden by any RUSA member at any time of the year. The day of the ride is per agreement with the rider(s) and the organizer (that would be me). A permanent route ridden and verified through RUSA can be counted towards RUSA's distance awards. 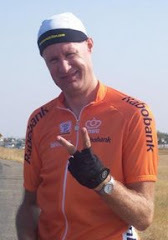 A permanent can also be counted multiple times towards RUSA's prestigious R-12 award-given for riding a 200K (or longer) brevet or permanent in all twelve months of the year. Starting in 2009 you may ride a permanent multiple times with each ride counting towards your distance award credit. A newer award called the P-12 is given for riding a populaire or permanent populaire in each month of a 12 month period.